A group of former Sony Ericsson and Nokia engineers have teamed up to create the world's first wireless in-ear headphones. 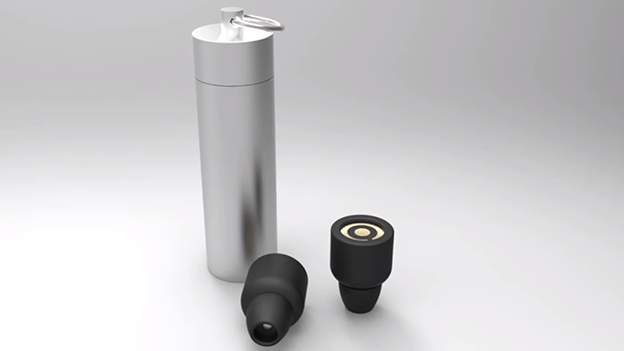 According to its creators, the Earin are also the world's smallest completely wireless in-ear headphones. The Earin are a pair of buds that are powered by independent batteries and connect to each other using Apt-X wireless receivers. However, with a battery life of only three hours, these might not be your first choice. That said, the engineers have come up with an innovative solution. When you're not using them, you simply insert them into the tube that comes with the headphones and they'll recharge thanks to the built in battery. They're currently under development and their creators are currently looking to raise around £180,000 through Kickstarter. According to its Kickstarter page, a £99 contribution is enough to secure you a pair. It's hope they'll go on sale in January 2015.